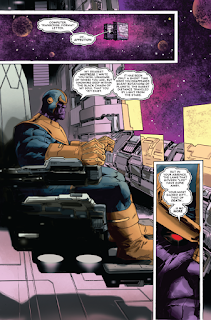 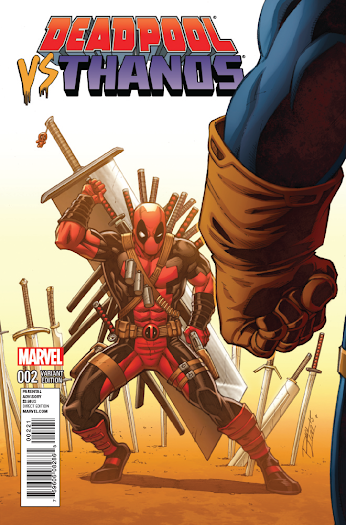 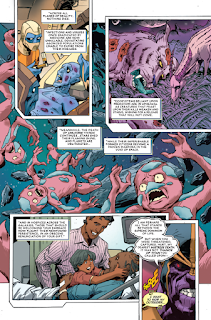 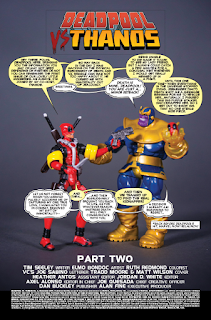 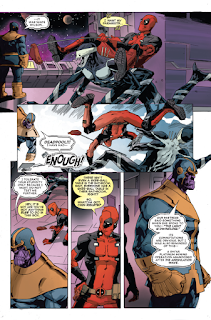 Marvel has provided the following preview of Deadpool Vs Thanos #2 which comes out next week on 9/23/2015. 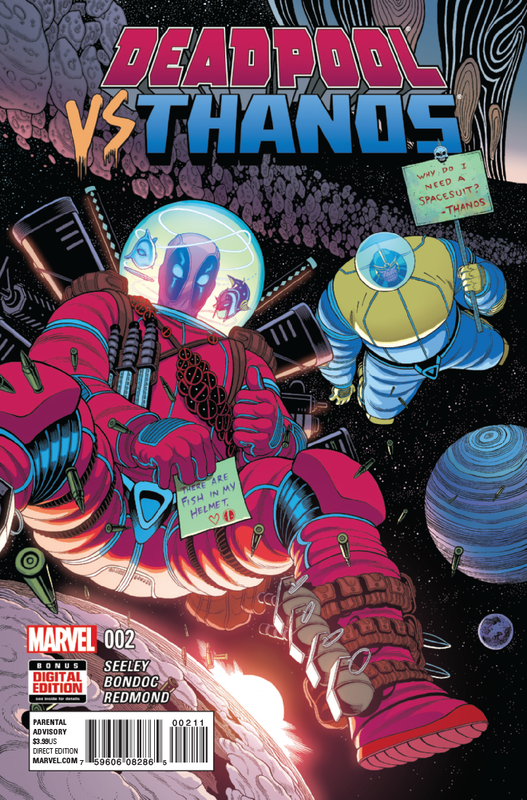 • We all know Thanos—the man who single-handedly made bejeweled gloves into THE deadly weapon of choice for mass murder. 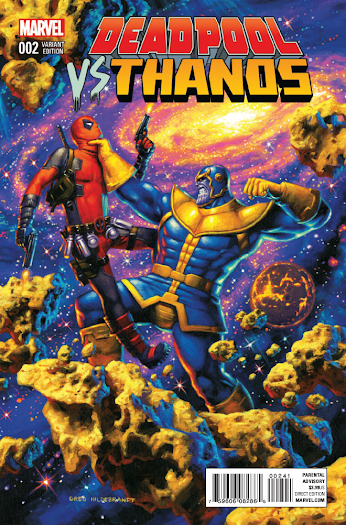 But did you know he shares an ex with Deadpool? No, not Vanessa—I refer to the cosmic “lady” known as DEATH. 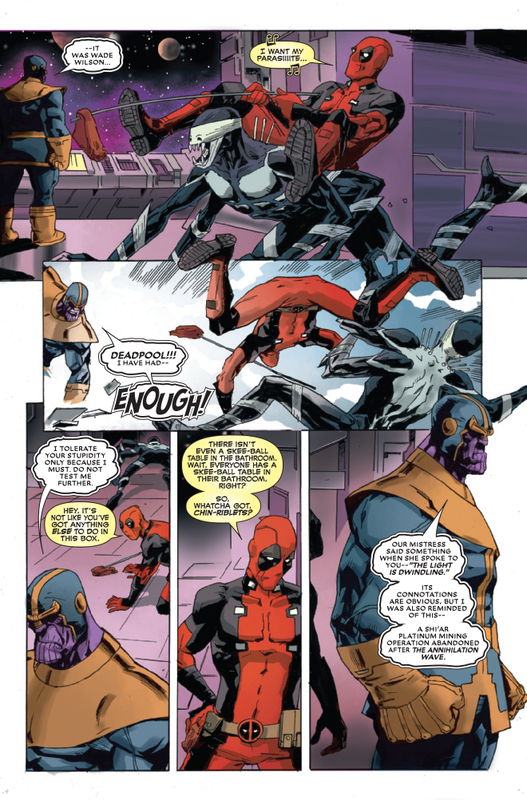 • And when everyone in the universe stops dying, both of her former beaus take an interest. 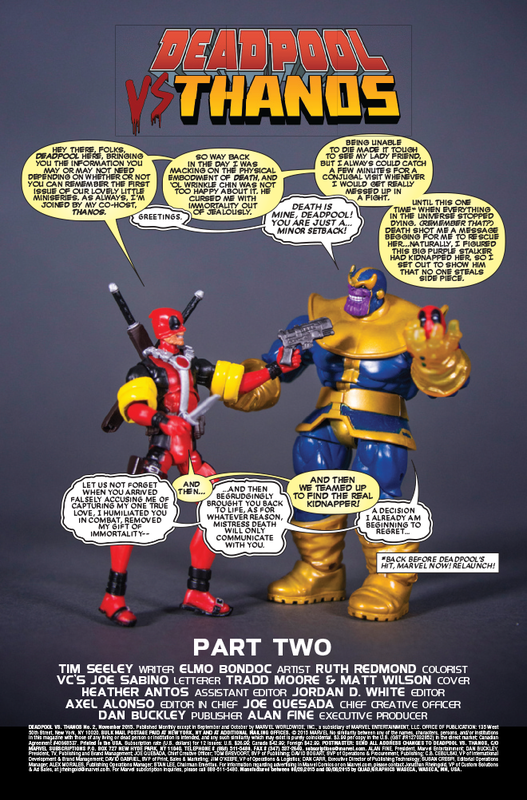 Can the pair overcome one’s overwhelming hatred of and annoyance by the other? Or will Thanos finally let Deadpool die once and for all?